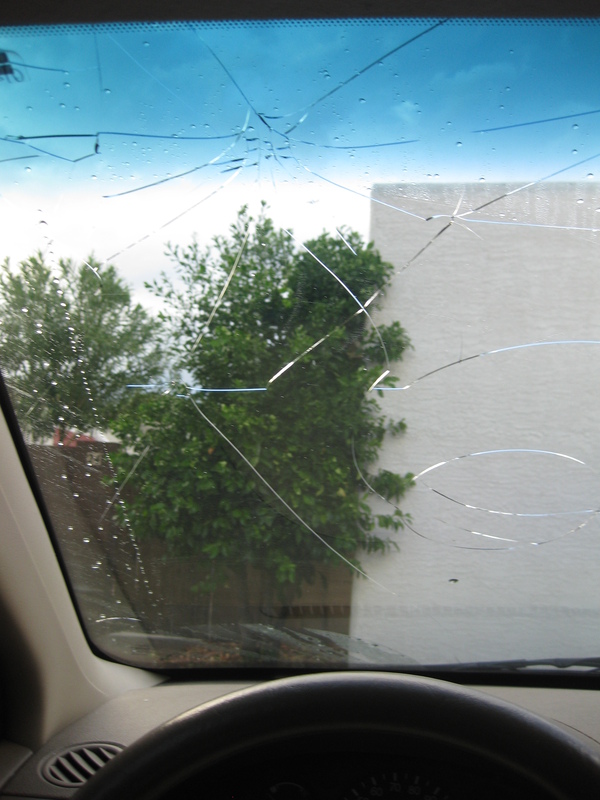 After I drove in that lovely little storm today, this is what my windshield looks like. And my hood looks like I was parked near a golf course with the world’s worst golfers. OMG! What strange weather! When It rains, it pours…cantaloupes. Oh no! That’s horrible. That is so bizarre – I assume it was hailstones? How big were they? I was too busy ducking and covering to notice, but azcentral says some were as big as tennis balls. Nick said all the skylights in the homes in Gainey Ranch were broken, and the houses flooded. One of his coworkers also got hit in the head.